Ajit Venkataraman is the Managing Director for APM Terminals Inland Services, South Asia. India is a trove of abundant natural resources, with huge pockets of arable land and an extensive coastline. India has been primarily an agrarian economy and one of the world’s largest producers of fruits, vegetables, meat and seafood, but despite this, the nation has access to only 60 percent of the produce. A sizeable portion of the population sleeps hungry every night; the wealth and economic status of farmers, fishermen and those in allied professions doesn’t improve. 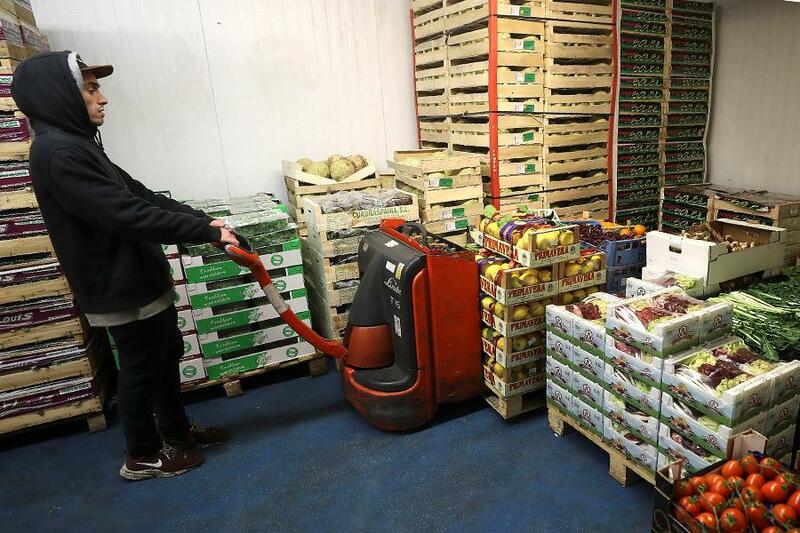 Limited cold chain infrastructure is a major culprit of this, leading to loss of produce. The gap between national perishable produce and cold storage infrastructure is leading to approximately 40 percent wastage. This gap is indicative of an incredible opportunity that development of cold chains presents. Moreover, it has the potential to impact every aspect of the Indian economy. Some ways include: Sufficient food for the population; surplus that will lead to increased global trade; better value for produce and increased income for farmers/ producers and empowerment; increased job opportunities, innovation; availability of exotic fruits and vegetables for an evolving consumer; control on food inflation; development of the Indian hinterland…the list seems endless. What ails the Indian cold chain sector? The simple answer lies in the adage of being able to nurture and manage what we have, that is, temperature and environment (carbon dioxide, oxygen, humidity). Sensitive products require specialised knowledge, tremendous care and constant monitoring. Here’s a quick view of how it works in most of the cases in India: While a farmer puts intensive effort in growing a crop and harvesting, in the absence of a cold storage facility close to the farm or reefer trucks, he stores the temperature/ humidity sensitive crops in a normal room and transports it to the market in a general truck. By the time the crop reaches the market, its freshness and quality will have degraded. The farmer faces loss of the physical product and the achievable sale-price. Even if dispatched in temperature-controlled trucks or shipping containers (for export) the product loses quality/ value. Post-harvest activities are delayed and the cold chain is broken. Thus, the real question to ask is, how well are we building an ecosystem for the farmers/ fishermen/ producers, the traders and the supply-chain professionals? Given the sensitive nature and limited shelf-life, a seamless flow of cargo in the desired controlled settings must be made possible. Today, we are facing an acute shortage of multi-commodity cold storage with modern equipment, pack houses, customs clearance facilities closer to the port or source, in addition to inadequate expertise in managing the cold chain. For export-import consignments, it's important to know about the right stuffing, global quality standards and shipping days--this can make or break a global transaction. Over the years, cold chains developed sporadically on a need-basis, and since enough know-how and resources (finances as well as infrastructure) weren’t available, the right foundations couldn’t be built for this industry to prosper. Only 8 to 10 percent are organised players. Understandable, as cold chain investments historically haven’t delivered a great return on investment. Cold storage was developed majorly for bulk products like onions and potatoes and facilities are concentrated in UP, West Bengal, Punjab and Gujarat. South India, especially Tamil Nadu, with a complex hot and humid environment, reels under the lack of sufficient cold storage solutions; it has access to only .0239 of the 30.11 Mn MT capacity of 6,300 cold-chain warehouses nationally. There’s an urgent need of a network of modern multi-chamber cold storages for commodities requiring temperatures ranging from -30 degrees to +25 degrees. The Indian Government and National Centre for Cold Chain Development (NCCD) have put tremendous efforts through ongoing infrastructure development (135 cold chain projects, 40 mega food parks, grants above Rs 7,000 crore), setting up policies (subsidies, taxes) and technical training. But, the onus is equally on the private sector to make a difference, with a long-term vision and focused approach. We need players who can think, invest and bring new solutions to market, enabling the right quality and costs. Safety, global standards of quality, enhanced efficiency and investments need to be the foundations on which our cold chains need to be built. Being energy intensive (due to refrigeration), these supply chains need to be carefully monitored for their impact on the environment. There is a pressing need to create a reformed workforce to elevate India’s standing in the cold chain market globally. India needs to realise its true potential. It is time to transform the traditional perishables business through integrated cold-chain solutions, modernisation and the use of technology such as the Internet of Things. Not an easy task but that’s our real ticket to transforming the nation, and the over-60 percent population currently employed in agriculture. The author is Managing Director at APM Terminals Inland Services, South Asia.